Gliding, or sliding, windows, provide advantages over double hung windows: they give a more contemporary look and are unobtrusive as compared to protruding and projecting windows, which leaves you with a pleasant view. The gliding windows are available in a single or double style, where one or both panes can slide past each other for ventilation options. 100 Series: Made with our patented, innovated Fibrex composite, the 100 series sits durable and environmentally sound in your home to allow circulation as you please. 200 Series: Welcome a pine or prefinished white interior to your home; these easy to maintain exteriors are standard and are available in popular sizes and color finishes. Match your replacement windows with your interior to create an envied style. 400 Series: Bring a simple and easy to use frame into your home for optimum ventilation. You will receive our most energy efficient make crafted for durability and aesthetic appeal. Both sash open left or right to receive outdoor air at your leisure. With circulation at your control, Renewal by Andersen® replacement gliding windows add elegance to your home without complications. Usher in a modern look with this sliding style to embrace sunlight and to breathe in refreshing air. Rest easy knowing that our gliding models will save you money with energy efficiency that is unmatched by other San Francisco are replacement window specialists. 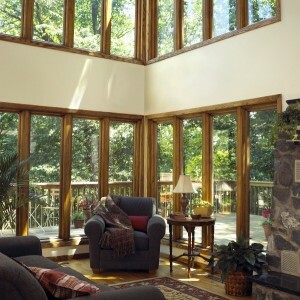 We will improve your mornings, afternoons, and nights with a window that lets in or keeps out the air you desire. These energy saving selections allow your wallet and budget to breathe while you are comforted with the knowledge that Renewal by Andersen® of San Francisco installed your outdoor portal correctly and professionally.